Our friend Val Klavans sent me a Christmas present this morning: A color photo of Saturn as you would have seen it if you were riding the spacecraft Cassini on December 21, 2014. Saturn's north polar hexagon stands out prominently while the rings encircle the planet. You can see the hexagon storm on its north pole. This composite is made of images that were taken by Cassini's camera system, the Imaging Science Subsystem (ISS) on December 21, 2014 and received on Earth December 22, 2014. 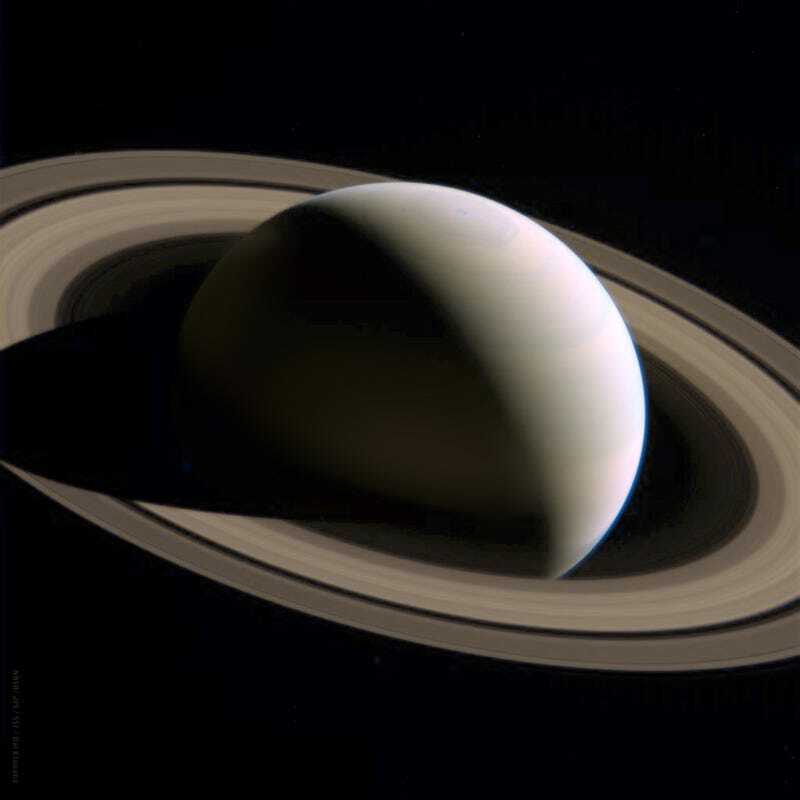 The camera was pointing toward SATURN at approximately 2,021,235 miles (3,252,862 kilometers) away, and the images were taken using the blue, methane band, and continuum band filters. It still blows my mind that this is a photo taken by some automated flying robot we send to space decades ago. Thanks Val!